As a business, we’re passionate and tireless advocates of workplace diversity and this week I was lucky enough to attend Computer Weekly’s Delivering Diversity and Inclusion in Tech 2017 conference in London. I can honestly say that this conference was one of the most inspirational events I have ever attended. The speakers were incredible and outlined the many diversity issues the sector is facing, and more importantly, what can be done to combat them. We all know that the tech industry in general has an issue with lack of diversity. The statistics are dismal with only 17 percent of IT professionals in the UK being female and a massive gender pay gap of 25 percent. One key reason that was discussed at the conference is early gender stereotyping. You only have to look at the difference between the cover of a typical girls’ magazine and a boys’ magazine. 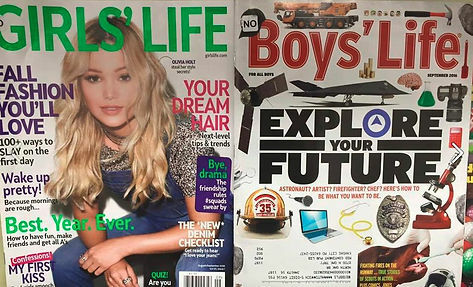 From a young age boys are encouraged to be interested in science, technology and engineering, whereas sadly many girls’ magazines focus on fashion, hair and make-up. A lack of role models is another reason many girls are put off STEM careers. The 2017 winner of Computer Weekly’s Most Influential Women in UK IT Sherry Coutu, a serial entrepreneur, believes in the power of using visible role models to encourage children into careers in STEM. “Role models are critical – if you can’t see it, you can’t be it”, says Coutu. She thinks it is key to have people in STEM-based positions, especially women, speak to young people about their careers to make them seem more accessible. Coutu’s charity Founders4Schools aims to break current stereotypes in the school environment and, using its online system, teachers can book a role model to talk to a class. I also firmly believe that the key to improving diversity in tech is for tech organisations to work more closely with the education sector. (Please see my recent article on diversity in aviation: ‘Is aviation tech a boys’ club?’) The tech industry as a whole still has an image problem and is seen as a being predominantly male and white and therefore somewhat inaccessible for many. Again, visible female tech role models on TV, social and other media are critical to combat this. The Diversity event did not only cover women in IT; many speakers also spoke of the lack of diversity in terms of age, ethnicity and disability. For example, it was very interesting to hear about a tech recruitment business that focused specifically on finding employment for people on the autistic spectrum. Another underrepresented group was women returning to work after looking after young children. It is very encouraging to see a number of large organisations offering ‘returnships’ to this group, that might have fantastic skills and experience, but need a confidence boost to get back in the job market. 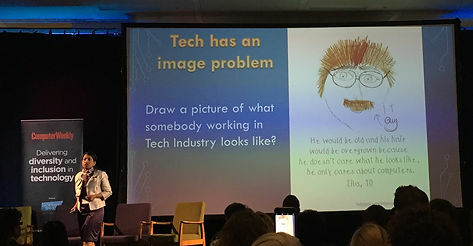 Jacqueline de Rojas, president of Tech UK, delivered a very memorable closing speech emphasising the importance of skills, life-long learning and diversity and inclusion in tech. Rojas spoke about the need for action as nothing changes unless we make it change. “The cavalry isn’t coming. It’s down to all of us to achieve true diversity”, Rojas commented. We will all benefit from improved diversity as diverse teams achieve better outcomes. The UK government is aiming to have one of the most digitally skilled populations of the world and tech needs to represent the needs of everyone in society. Teachers and parents should aim to inspire both boys and girls to be knowledgeable about STEM subjects and confident enough to opt for a career in this field. (There shouldn’t be any ‘blue’ or ‘pink’ jobs!) In addition, formal workplace networks and mentorships are important initiatives to ensure that female IT specialists are able to also get to the top of their profession and become influential technology leaders of the future.